Due Diligence: Visio Account Executives embody the qualities of attentiveness and persistence. As seasoned investors themselves, they understand the time and care needed to provide the right advice for investors to make the right investments with the best rates. Freddy personally carefully examines and researches properties to ensure the right investing fit for each client. Borrowers can rest assured knowing that Visio Account Executives are there to build trust and create lasting relationships. Transparency: With Visio, financing your rental property is as transparent as it can be. Stated rates and a multitude of loan programs ensure that you are receiving the best options, targeted to your specific needs. Additionally, Visio publicizes our interest rates and shows exactly how they are calculated. To find more information on the different types of programs and rates, be sure to visit: VisioLending.com/Loan-Programs. Flexibility: Typical mortgage lenders, such as banks and government sponsored entities, require extensive, paper-heavy processes. This, in turn, limits the diversity of your investment portfolio and consumes more of your time. In today's day and age, convenience is significant, and Visio Lending aims to provide limited documentation loans to a wide range of investors, in a quick and streamlined fashion. In fact, Freddy worked with a client that built up to an $8M property value in just two and a half years. Sound too good to be true? Contact Freddy at info.visiolending.com/freddycolon to find out. Andy Nguyen was born and raised in Houston, Texas. As a 5th-year senior at the University of Texas at Austin, Andy studies Economics and Finance and hopes to pursue a career in consulting. As a consultant, Andy hopes to bring strategic impact and deliver with results backed with vast, insightful data. After a successful career, Andy aspires to open his own restaurant and serve delicious, beautifully crafted Vietnamese dishes. 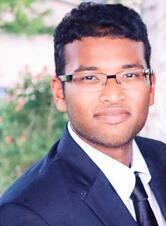 Dheeraj Nadella is a junior at the University of Texas at Austin. 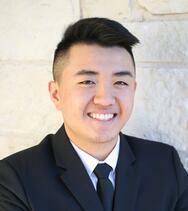 He studies Mechanical Engineering and Business and hopes to pursue a career in engineering. As an engineer, Dheeraj aims to learn the technicalities of a business from an engineering standpoint in order to one day pursue a career in entrepreneurship and run his own business. After a successful career, Dheeraj aspires to travel around the world and pursue non-profit opportunities.